Looking back on our journey over the last few months, we see our paths have been anything but on the straight trajectory you might expect. Through the up and downs, back tracks, and rerouting, we have not only accomplished our project goals, but more importantly have changed how we see important issues and how to be more effective change makers. As we approach the end of the course, we have reflected on and evaluated personal experiences gained through engaging in the Community-based Experiential Learning (CBEL) project. We highlight what we have learned in the foundations of this course – by sorting out the issues, significance, approaches, findings and implications of our project in the Infographic and the final report. Asset-based community development (ABCD) approaches help us highlight issues and needs of the community by recognizing community strengths and assets. Through asset mapping, it is important to foster connections and relationships in a community – in order to identify each other’s strengths and resources (Green & Haines, 2002). That enables us to elaborate on how they can build on what already exists in the community. Our project, as Community Food Hub Helper, can act as a vehicle for community building by exploring effective collaborative engagement. We conducted two food literacy workshops. In addition, each member further engaged with our community partner by volunteering at the produce market or the community kitchen. It is our hope that our food literacy workshops will increase community members’ ability to understand food so that they can develop a positive relationship with food and apply these skills and practices in a manner that not only helps them to improve their health or using food in a way that compliments their current economical situation but to also further their understanding of the complex food system as well (Cullen et al., 2015). Furthermore, these community services facilitate community engagements and we suggest that having hands on experience creates a positive learning environment for those members who participate in the community. Our relationship with our community partner is also considered as an asset. 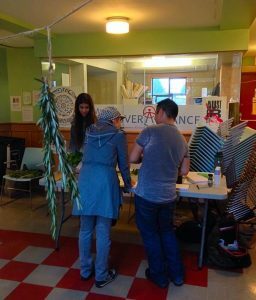 Through the collaborative community-based project, we learned that identifying community strengths and assets could enable us to develop a course of action and facilitate community development through a food justice lens. These lens has given us a new perspective how the current food system can be transformed through community inclusion and elimination of disparities and inequities (Food Secure Canada, 2016). 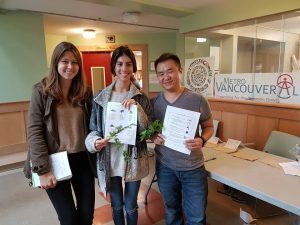 The community food hub has demonstrated to us Gordon Neighbourhood House’s social advocacy for food system changes especially when it comes to the changing the model of food banks in order to move down the food security continuum. This was also new information to us because most of us has only known of the traditional food bank model. 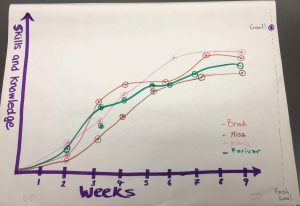 Analyzing our ‘Moments of Significant Change’ (posted on blog 3) was a critical moment for us because it it helped us realize that we had experienced different levels of intensity of the emotion throughout the course. Some members worked with negative emotions when we faced difficulties of developing effective workshops and improving our report proposal. To reduce anxiety and stress, we have decided to ensure fairly equal work distribution and keep in touch with each other to make sure that everyone is on the same page. Depending on what on the grade and feedback was that we received on our assignment, that was also a rollercoaster of emotions too! However, we tried our best to remain positive and encourage each other throughout this process because inducing positive emotions in each other helped us work through the stressful times (Ong, Bergeman, Bisconti, & Wallace, 2006). The critical reflections on our experiences provided us a valuable opportunity to evaluate and document our learning progress. This projects included the components of planning, implementing and reflecting on actions to address food systems challenges which has helped us acknowledge that community-based approaches are driven by an action-oriented collaboration. Particularly, community partnerships play a significant role in building community capacity and help promote community engagement through purposeful learning experiences that may potentially cultivate community food security. Community food security will be achieved when all community residents have safe, nutritionally adequate, culturally acceptable food at all times through a sustainable food system that maximizes community self-reliance and social justice(Hamm & Bellows, 2003). In addition, critically evaluating on our personal growth and learning would guide the next step; we will be able to look into other land, food and community issues through the lifelong learning framework. The evaluation of our performance – as to how our community-based approaches have an impact on community – enabled us to discuss the effectiveness of our project and possible ways we could improve. We are all passionate to work as a collaborative team. We maintain cohesion throughout the teamwork process by keeping track of task responsibility for each member. Building group cohesiveness is crucial in producing meaningful outcomes to the community, through our reciprocal appreciation of knowledge and skills at each stage of the project (Faridi et al., 2007). The community engagement has been a real journey for us. Although we experienced both negative and positive emotions throughout the course, we achieved personal satisfaction for the community engagement by feeling a sense of accomplishment for what we have contributed to the community. Our community-based experiential learning (CBEL) encourages both personal and interpersonal development, such as communication and leadership skills and the ability to work collaboratively with others (O’Hara, 2001). Moreover, we finally realize how LFS 350 will aid us in the future. We now have a better understanding of the ‘real world’ in light of food security, and hope that the experience we have gained promotes problem-solving skills and critical-thinking skills, which are necessary in our future career. By creating a collaborative work environment, we can create positive, significant and long-term differences in communities. Individuals are empowered by realizing how their knowledge can give a positive effect on the community (O’Hara, 2001). CBEL assists students in making connections between the practical experience in the community and academic discourse. More importantly, integrating community engagement into academic discourse, we expect to be more motivated and responsible for leaning (Nygaard et al., 2009). Moreover, we believe that our project in the form of CBEL could provide effective strategies for promoting food security, as a means of exploring more lasting solutions to food insecurity issues. The strategies would include more participatory and hands-on community development approaches through the neighborhood food networks.We appreciate that we could contribute to community involvement and shared efforts to strengthen the community. We suggest that CBEL encourages the development of: interest in learning, leadership skills and social responsibility. Finally, to discover community’s visions for the future, we must spend time analyzing the community’s past successes and listening to what needs to change. The Community Food Hub project has been extremely surreal and challenging at times, yet never without wonderful opportunities to be learned. As a group, it has been eye-opening to see this project come to a close, as it seemed just like yesterday we were visiting Gordon Neighbourhood House and learning each other’s names! Seeing the workshops unfold and our team implementing it from start to finish allowed each of us to feel like we contributed something to our community in a way that was appreciated. Although there were definitely moments that we collectively struggled as a group, we can all say with certainty that it has not only made us stronger students, but stronger team players as well. 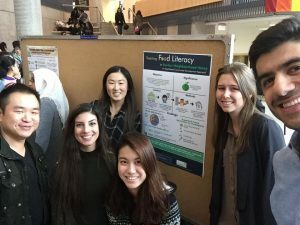 The project itself allowed us to work collaboratively in introducing food literacy skills within the community, and provided us with the independence that is required to effectively implement our university knowledge into the real world. Because of this, our group ultimately agreed that the biggest takeaway from our CBEL experience pertained to our team’s effectiveness in contributing to our community. Many of us were overwhelmed at the start and felt that we could not provide a significant and impactful change as we are only 6 individuals. However, throughout the entirety of this process we were pleasantly surprised by not only the reception, but also the gratitude from community members and partners who were pleased and thankful for our time and energy. All in all, the entire CBEL project has been nothing short of a hands-on learning experience filled with unforgettable opportunities, and we have been so excited to be involved from start to finish! We are so grateful that we were able to share this experience with you lovely readers! We would like to especially extend a heartfelt thanks to all the wonderful staff and volunteers at Gordon Neighbourhood House for their invaluable contribution to the community and for allowing us the opportunity to do this project with them and welcoming us into their “home”. All of us at our infographic presentation! participatory research: Necessary next steps. Preventing Chronic Disease, 4(3), A70. Food Secure Canada. (2016) What’s Race got to do with it: Food, Diversity, and Inclusion. student to civic-minded professional. Southern Communication Journal, 66(3), 251. Hello again! We return with a tale of failure, the learning that ensues, and how this can breed greater overall success. Revisiting our concluding quote from our last update, “the journey of a thousand miles begins with a single step.” (Lao Tsu n.d.), we now face the difficult task of stopping, taking a few steps back, and assessing the direction in which we were walking. This process of scope change can be frustrating, especially when you may have taken a considerable amount of steps off the desired path. However, as you will soon read happened to the Food Hubbers, this process has great rewards despite the tensions that must be worked through. To begin developing the infographic and start writing the draft for our final project report. As the end of the semester is fast approaching us, all of us have other deadlines from our other courses to contend with as well. Therefore, it is important to not let everything pile up to the very end and begin working on our project assignments this week. This will also give us time to ask questions and obtain feedback as we move along. However, our objectives for this week may feel a bit daunting because as a group, we do not have a lot of experience, if any, in creating infographics. Therefore, we are hoping that this week’s lecture and tutorial will help alleviate our anxiety and resolve some uncertainties that we have about this portion of our project. The infographic will serve as an important tool in our final public presentation in helping us communicate our project to the community. The final project paper is also an important aspect to our community project as a whole because it is the piece that will remain available for both our community partners and future students long after we have completed this course. Because of this, beginning early will give us a better chance at producing a better end product than starting at the last possible minute. The most challenging portion of the final report will be to analyze the data that we have collected from our workshops and incorporating results into our final paper as that will play a huge role in how coherent our paper will be. Successfully completed our second and final workshop which involved enhancing food literacy skills through a food storage workshop. Strengthened connections between community members and our team by engaging in personal conversations. Thus allowing us to get a better understanding of what type of future workshops they’re looking in order to help future groups developing workshops. Each of our members have continued to pick up volunteer shifts during community hub hours. This has helped deepen our understanding of how the community food hub operates as well as see first hand the positive impacts it has on community members. Our achievements are not without hurdles. Our second workshop was actually scheduled to be much later in the semester which would not have allowed us sufficient time to analyze the data for our paper. However, we worked with our community partner to reschedule and was able to move up our second workshop date. With the due dates of assignments from this course other courses occurring around this time of the semester and unforeseen illnesses amongst our group members, we had to juggle our time and reschedule our previously committed volunteer shifts. Despite of these hurdles, our team was able to overcome them through effectively communicating with one another. These hurdles and the anxiety that it had created within us has allowed us to broaden our learning by pushing our boundaries (Shulman, 2005). In addition, it has helped us to be better prepared for our future assignments. As we get to know more about one another, we learn more about each other’s strengths and weaknesses allowing for us to effectively divide and assign roles that would maximize each of our potentials for upcoming assignments. With every hurdle that comes our way, if we don’t give up and find ways to overcome them, adds to our repertoire of skills that will serve us well in the future. This week we had an opportunity to experience our ‘moment of significant change’. We created two types of charts for the our team’s moments, highlighting unexpected changes in our skills/ knowledge (Image 1) and emotions (Image 2) that were derived from our experiences throughout the lectures and Community Food Hub Helpers Project. The activity has given us an insight into the ‘What, So What, Now What’ framework and encouraged us to map out a definite course toward our remaining projects assignments. These images, shown below, are graphical depictions of the Moments of Significant Change for our skills/knowledge and emotions for the past 9 weeks. Each member used a different color to plot the levels of skills/knowledge and emotions, and revealed our moods and moment accordingly. The food storage workshop was set up next to the produce market where community members first entered. As members lined up for the produce market, they received a handout highlighting food storage recommendations. A display was also present to help illustrate where to store produce without the need for refrigeration. Workshop attendants summarized the display for participants and answered any questions that arose. At the end of the workshop, participants were able to take the produce home and asked to fill out a feedback form. By making small changes such as situating our display table by the produce market, we had an increase in traffic. Hence, our confidence toward the contribution to the community increased, and we tended to have positive emotions. There were different emotional levels among group members as we showed differences in emotional complexity throughout our course load. In particular, during the season in which we had midterms and tons of assignments, our emotional levels were down. Aside from this aspect, we all agreed on the fact that we faced similar difficulties and experiences in our projects. This activity gave us an opportunity to share each moment of significance for the past 9 weeks and made us view our experiences in a different perspective. This is important as we could move forward to strengthen community actions by taking a step back and identifying common challenges in the projects. After reflecting on our moments of significance, we felt that we are now on the same page and felt more connected as a group. Completing this activity have allowed us to appreciated a our increased sense of inner-group cohesion and more confidently say that we are collectively dedicated to the common goal of promoting community health through our project. Collaboration, including partnerships among members of the local community, is essential to facilitate community development as sharing our ideas and perceptions would contribute to strengthening communities (Ontario Health Communities Coalition, 2009). By doing so, we would get a better understanding of the impressions of the community needs in light of food security and food literacy. The finish line in each chart represents an optimistic view on of how we can be satisfied with our project upon completion. Our engagement should continue to provide us with more confidence and make our project useful for the community. In a collaborative learning environment, we keep an eye on how our actions have an impact on community and continue being eager to improve the community in the most efficient and logical ways possible. Now it is time to think of filling the gap between what is and what should be done for our actions. Building a plan for recognizing local needs can help us gain a deeper understanding of what should be done for the community (Community Tool Box, 2016). Comparing one’s experiences with others among the group encourages us to revisit and reexamine community expectations and values. Through our learning experiences, this critical reflection has helped us work more collaboratively towards the common goal. In order to achieve a successful dismount from the journey that has been the Community Food Hub program, our group must think ahead and assess whether or not we have truly completed what we intended to, as well as where we would like to be at the end – both emotionally, and project-wise. Before we were able to answer this question, our group discussed what exactly would entail a successful project in our own terms. Our consensus was that we want our food preservation and storage workshops at Gordon Neighbourhood House to help low-income individuals in the West End to develop long-lasting skills. This is with the goal of increasing food literacy and therefore taking one of many small steps towards achieving pertaining to food justice. The way we decided on measuring this impact, was through the use of our feedback forms that we would ask workshop attendees to fill out. The questions we asked gave us further insight into our workshop’s effectiveness and possible ways we could improve. The most important aspect to our successful project completion, however, is teamwork. By demonstrating that each member of the team is making an equal contribution to our overall workload, as well as remaining on task in a timely fashion, our efficiency and productivity will be a significant contribution to our success and proper dismount. If we do encounter a slight bump in the road, our team must be open to constructive feedback that is implemented to improve the situation and ensure cohesiveness throughout the teamwork process. In conclusion, the Moments of Significant Change activity at the tutorial session gave us an opportunity to share our experience and knowledge that we have gained in our project so far, and evaluate our performance as a team. The assess of our performance helped us to recognize where we are as a group, and how we can improve our teamwork by the end of our project. During our second workshop, we helped the community at Gordon Neighbourhood House to learn more about the preservation and storage methods. Learning about these methods can improve food literacy in the community at West End area. 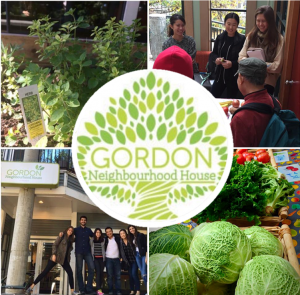 Providing culturally appropriate, affordable, healthy and locally grown food, and improving food literacy via educational workshops at Gordon Neighbourhood House can lead to food security and food justice in the community. We hope that you’ll continue to follow us on our journey as we approach the final stretch of our project. You have already read our project proposal with well over a thousand words. So in our next blog, we will unveil our project infographic where a picture is worth a thousand words and bid you farewell with our last group reflection. When life presents you with an seemingly impossible challenge or obstacle, what is your instinctual response? Do you throw your hands into the air and surrender? Do you forge ahead with your tried and proven ways? Do you look for new ways to tackle the challenge? Think about what YOU would do and see how it compares to what we would do! First off, as promised, we are revealing our project proposal for your viewing pleasure. 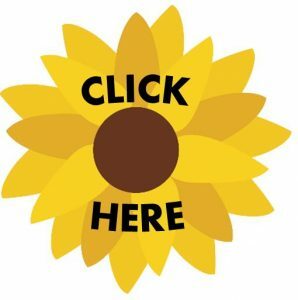 Click on the sunflower below to read it! We would love to hear what you think about our proposal so feel free to leave a comment below and let us know. The time frame for this project from start to finish will be close to three months. Below are our weekly objectives for this project. 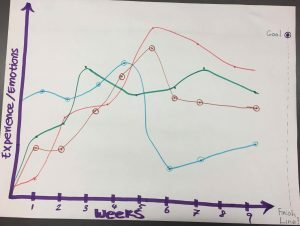 Use collected data from workshop #1 on friday in order to produce a graph and data table that properly articulates the results from our community food hub project in a visual manner in order to illustrate and evaluate the effectiveness of our workshop. Designate roles regarding the Final Community Project Report in terms of which member is completing what section of the paper. Setting weekly objectives is one of the critical steps to a successful project. However, seeing each objective come to fruition is a fulfilling aspect. Below is a summary of our achievements to date. Despite some uncertainty, we successfully completed our first workshop on drying herbs. We received some useful data, observations, and feedback to apply to our next workshop, and everyone who filled out a feedback form said they found the workshop beneficial/helpful! We also quantified the data and will soon use it to make some visual representations. Wrapped up our first workshop on October 7th! We revisited how many workshops we will put on and decided to put on two instead of three, and set our second workshop on food storage for preservation on November 4th. LFS 350 is a course unlike any other. It allows us to think critically about many important issues and it challenges us by giving us the opportunity to utilize our knowledge and skills to address an issue in the community. However, sometimes, the challenges lie within us and make us thinking deeply about how we can turn lemons into lemonade. So I hope you have given the question we presented to you in the beginning of our blog some thought. We will now tell you about an obstacle that we have encountered thus far and what we did in order to overcome it. The herbs were then bundled together with either an elastic band or twine and placed in a paper bag. Participants were shown how to cut holes in the bag to allow for ventilation. Participants were able to take the herbs that they have worked with to continue the drying process in their homes. Prior to workshop day, we realized that while we had a great idea as to what we were going to present and the information that we would like to relay to the community members, we were still far from being sure if it would go as planned. Our mental conception of the workshop consisted of us standing in the front of a room presenting our workshop to the community members who would be seated. In addition, we would hold two sessions – one in the morning and one in the afternoon. Of course, the workshop day turned out to be quite different. When we arrived, we found out that we didn’t have a classroom at our disposal for the day, we would be setting up a table in a common hallway area in which individuals would approach us throughout the day. This changed the delivery method of our workshop which was an obstacle that we had to overcome. This experience was significant and important in that it afforded us the opportunity to deal with the unexpected. The day started off similar to one trying to navigate a vessel in uncharted waters whereby the new found uncertainty elicited a feeling of both excitement and anxiety inside us (Shulman, 2005). However, we soon realize that once we took a step back and appreciated the surroundings that we were in and the people we were interacting with, it was felt like we suddenly stopped trying to steer the vessel and instead we were riding the currents and appreciating the beauty of our surroundings. We experienced what Tim Hartford (TED, 2016) explained in his Ted Talk in which the obstacle we were presented with allowed us to utilize a very important tool we had at our disposal – our creativity. This came into play when individuals who did not seem very interested in our workshop about drying herbs, became interested when we talked to them individually about how it can improve their health and new ways in which they can use the herbs once dried. This opportunity would not have been afforded to us had our workshop been delivered in a more traditional teacher-student method with less hands-on experience and interaction. 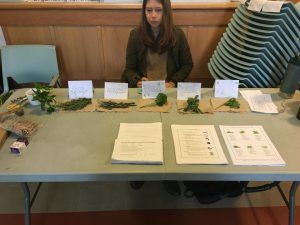 Despite the the difference in what we had envisioned our workshop to be and the actual workshop day, we achieved what we had set out to do which was to deliver tangible food literacy skills to the public. Furthermore, our first workshop at Gordon Neighbourhood House was very well received by the community members despite the obstacle presented to us. We were also able to engage in experiential learning by utilizing our combined knowledge and applying it to a real-life practical context (Kolb, 2014). Using this new found knowledge about the logistics of our workshop day, it will help us better plan and deliver our second upcoming workshop. Now that we have one workshop under our belt, it is time for us to prepare for our next one. As such, we have a list of upcoming objectives and our strategies on how to achieve each of them. Improve the delivery of the second food literacy workshop. We have two strategies that we will use to achieve this first objective. Our first strategy is to communicate with Gordon Neighbourhood House and ask them specific questions about what they would like to see us incorporate into the second workshop. Because we come from a different background than our target audience, what we perceive as being important information to educate the community about may not be applicable to their needs. Our second strategy is to analyze the feedback forms that we received from the first workshop and make improvements to the second workshop accordingly. One of the biggest reasons why we have feedback forms is that it helps us to assess the effectiveness of our workshop from the point of view of the community. Both of these strategies will not only inform us of the needs and opinions of the community, but it will also help us achieve our goal to provide effective, tangible food storage and preservation workshop to the community. Prepare for our next workshop on food storage. To achieve this objective, we will be conducting research to find out what the available methods for food storage are. In particular, our emphasis will be on how to prolong the shelf-life of produce products as that is the bulk of the perishable food items that Food Hub individuals are receiving. As a group, we feel that it is important to focus the second workshop on food storage methods to foods that are accessible to the participants because it will be both more applicable to them and hopefully help us improve the efficacy of our workshop. Another strategy that we will incorporate in our preparation efforts is creating a handout for participants to take home. The handout will contain easy-to-understand, summarized information of what is presented during the workshop. During the first workshop, workshop participants appear to be very receptive to receiving summary handouts that they can take home with them and so we have decided to continue this practice. This strategy is important because we are using our experiences from our first workshop as to what has worked well and applying it to our second workshop. I In closing, we hope you have enjoyed following our project journey so far. As Lao Tsu (n.d.) famously said, “the journey of a thousand miles beings with a single step.” So we hope that you will continue to accompany us in the upcoming weeks as we our project continues to unfold. Shulman, L. S. (2005). Signature pedagogies in the professions. Daedalus,134(3), 52-59. “Give a man a fish and you feed him for a day; teach a man to fish and you feed him for a lifetime,” is a well-know quote put forth by Jewish philosopher Maimonides (n.d.) and how true it is. Why? Keep reading and we will show you why this quote is relevant to our project. Welcome to the our blog! 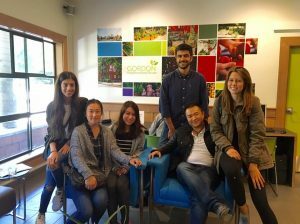 We are a group of six UBC Land and Food Systems (LFS) 350 students who will be working with a fantastic organization called Gordon Neighbourhood House with their Community Food Hub and we would like to share our experiences with you. As a group we are interested in making a positive impact within the community while simultaneously learning about food literacy and food justice. Additionally, we are very keen on emphasizing healthy eating and nutritional knowledge. We chose to work with Gordon Neighbourhood House on the Community Food Hub project because we would like to learn about food preservation methods, provide support for the connection between local farms and community, learn more about, and get involved with Gordon Neighborhood House, and be able to better our food literacy skills while helping others better their’s as well. What we hope to gain from our experiences in taking LFS 350 is a greater understanding of how we can help move the food system in a sustainable direction. Furthermore, we would like to get to know the community better in terms of what types of problems and issues they’re facing while helping them get to the root of the problem and taking steps in the right direction towards solving it. Each person in our group has specific interests and strengths that compliment our overall group interests, goals, and reasons for selecting this particular project. We will each tell you what they are! Now that you know a little bit about who we are and where our interests lie, let’s talk a little bit about Gordon Neighbourhood House and the project we will be working on. It is always such a tremendous learning experience when we first meet our community partners and learn about their story. For us, we have the opportunity to work with one of the earliest established neighbourhood houses in Vancouver – The Gordon Neighbourhood House. It’s rich history spans almost 75 years! Paul Taylor, the director of Gordon Neighbourhood House eloquently described to us the difference between a community centre and a neighbourhood house as “where a community center works FOR the community, a neighborhood house works WITH the community.” This is apparent in their food security initiatives. 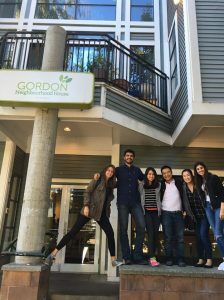 The Gordon neighborhood House was approached by the Greater Vancouver Food Bank to take on one of the Food Bank locations when one of the previously existing locations in the West End was shut down. They accepted, with the agreement that some changes would be made. That is how the Community Food Hub was born. The Gordon Neighborhood House’s goal is to take action further down the food security continuum. Where the Food Bank focuses on emergency and charitable services, which falls under Stage 1-Short Term Relief, Gordon Neighborhood House strives to create initiatives that focus more on Stage 2-Capacity building. To further their goal, they have partnered up with some advocacy groups, such as “Raise the Rates” which is working to address the underlying cause of food insecurity for many: poverty. This strategy encompasses Stage 3-Redesign which is focused on policy and system changes. The Gordon Neighborhood House’s goal is to take action further down the food security continuum, because as Paul Taylor explained, success is not being at one stage of the continuum, rather it is movement along it. An outline of the type of continuum Paul Taylor discussed is found on the Food Security Alberta website (http://www.foodsecurityalberta.org/food-security-continuum), which is what we will use. The Food Bank focuses on emergency and charitable services, which falls under Stage 1-Short Term Relief, while Gordon Neighborhood House strives to create initiatives that shift the focus more to Stage 2-Capacity Building. This is the stage at which many of their community building initiatives are working, such as the community gardens, as well as some of the changed aspects of the Community Food Hub. GNH is also attempting to work at the root causes of food insecurity, which falls under Stage 3-Redesign. This is focused on the policies and systems that are at the root of the inequalities in the food system, and is where food justice comes into play. For example, GNH is starting to work with “Raise the Rates”, a coalition intended to raise welfare rates (https://raisetherates.org/) and work to address the underlying cause of food insecurity for many: poverty. These kind of social advocacy and policy change initiatives are working near the end of the food security continuum, which is necessary for food justice to be achieved. Gordon Neighbourhood House made changes to the classic Food Bank design in order to focus more on capacity building within the community which fosters a sense of autonomy, dignity, community, and respect within the individuals they serve. This is achieved by their innovative way of transforming the process to more like a shopping experience where individuals can walk through and choose the food items that want, giving individuals more time to come pick up their food, and minimizing wait time. The Community Food Hub lasts four hours, where the Food Bank gave only one! This has a great impact on eliminating the line-ups found at most Food Banks, which many people find degrading. Their experience does not end there! After grocery pickup, they can go upstairs to socialize, have lunch and snacks, shop at the bargain-priced Produce Market, and watch the chef demonstrate cooking with freshly harvested vegetables of week. All of these changes made to the classic Food Bank model are how GNH is moving along the food security continuum to capacity building within the community. An astounding 250-350 households frequent the Food Hub within the span of 4 hours! After polling individuals who utilize the Community Food Hub Program, it was found that there were a number of services that individuals were particularly seeking. That’s where our group comes in. 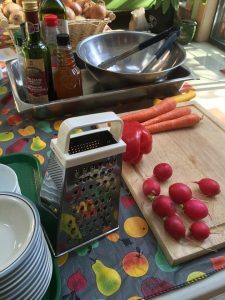 One of the things that individuals wanted to see on Food Hub Fridays was the introduction of workshops that can teach them tangible food literacy skills. More importantly, it is how to utilize food items that they readily have access to. Therefore, over the course of the upcoming months, our task is to design and implement various workshops that would serve this purpose. In addition, in order to really get sense of how the Community Food Hub Program works, each of us will volunteer in the Food Hub helping out in areas such as the in-house Produce Market. One of the first impressions that we got after meeting with both the Executive Director, Paul Taylor and the Farmer/Community Programmer, Susanna Millar, was that in order to conduct this project successfully and obtain the full experience, we are expected to be patient and listen to the fellow community members. Many of the individuals who attend the Gordon House programs are food insecure and a proper income is an issue for them, therefore Susanna made it clear that we are not only here to improve food literacy skills, but also to provide emotional comfort for the individuals who visit the neighborhood house. As Ernesto Sirolli (2012) mentioned in his TED talk, “instead of arriving in a community to tell people what to do, why don’t we for once listen to them,” by doing so, we allow the individuals to feel comfortable in sharing their struggles, maximizing the potential for our ability to help and make an effective change through relationship development. Presently, building a strong relationship with the community members appears to be the main focus as this creates the foundation necessary to make a significant impact regarding community development — a factor that is deemed highly important in the Asset-Based Community Development approach as it emphasizes engagement as well as meaningful community improvements through recognizing and utilizing the unique abilities and skills already present in a community. Last but not least, Ernesto Sirolli also emphasizes that it takes a network of people to build a great company and this reflects the Gordon Neighbourhood House where we have a network of people from different backgrounds all with a common goal: to make a positive impact on their community. After learning more about our project and Gordon Neighbourhood House’s mission, we can now revisit Maimondes’ famous quote. 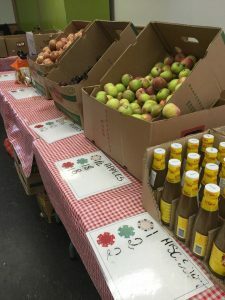 It is apparent that although food emergency services may provide much needed food to those who are in need, it is with additional services such as workshops that compliment the Food Hub program that will empower individuals with the food literacy skills that will carry them forward into a more food secure future. Tune in next time when we disclose our top secret project proposal!